New t-shirts will be on sale at BrenhamU both days for Brenham ISD employees. T-shirts will also be available at Open Houses across BISD. 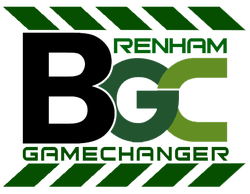 $20 gets you a jeans pass on every first Tuesday of each month of the school year when you wear your Brenham GameChangers t-shirt! Please select an amount you would like to donate from the list below. Thank you for your donation. Please Note: BGC is a 501c3 non-profit organization. We can give tax deduction.